On multiple fronts, with multiple forces and weapons, California’s battle against invasive aquatic organisms continues. Notoriously, San Francisco Bay is the world’s most invaded estuary. The state’s lakes, rivers, and other freshwater wetlands have their own problematic exotics. Keeping them out, and preventing their spread once established, requires coordination among agencies and levels of government. At best, meshing jurisdictional gears can be a challenge. Legislation pending in Congress could make treating ships’ ballast water to remove invasives yet another source of friction between the state and the federal government. An invasive species is a plant, animal, or microorganism that’s not from around here but makes itself at home. Invasives may come from elsewhere in North America or from other continents and oceans. Many arrive in ballast water or on the wetted surfaces of vessels; others are released, intentionally or otherwise, by aquaculturists, sport fishers, or pet owners and aquarium hobbyists. These organisms run the gamut from microscopic plankton to rodents of unusual size. Some appear pre-adapted to succeed in their new environments: a study by Carol Lee at the University of Wisconsin-Madison indicates that the exotic brackish-water copepod Eurytema affinis has repeatedly invaded freshwater habitats by evolving physiological tolerance to less saline conditions. Others just get lucky, benefiting from a favorable conjunction of temperatures and salinities. What successful invasives have in common is their ability to alter environments, compete with native species, and interfere with human activities and interests. It’s convenient to think of aquatic invasives in terms of saltwater and freshwater habitats, although these distinctions aren’t absolute and many have shown unexpected flexibility. 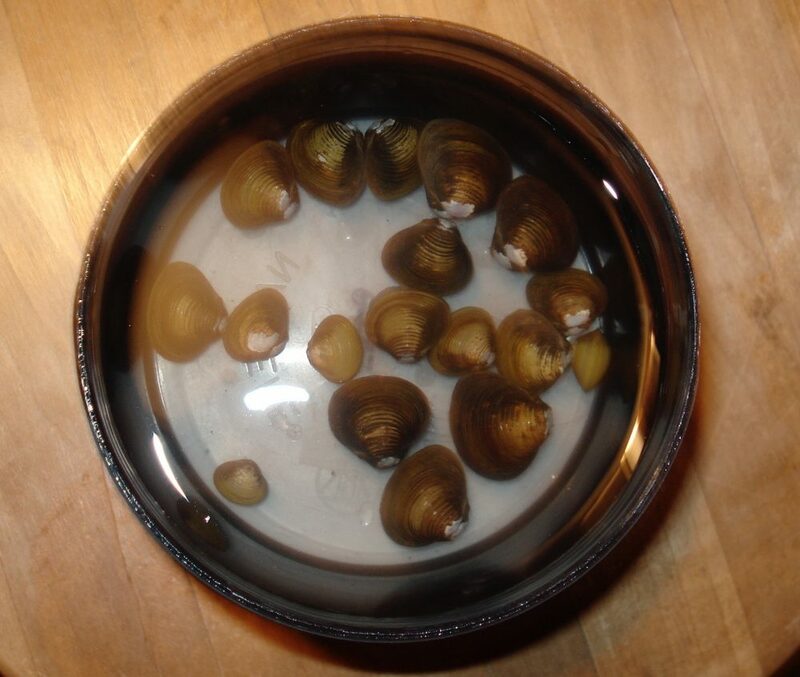 Scientists have been tracking two Asian clams, Potamocorbula amurensis, thought to be restricted to salt or brackish water, and Corbicula fluminea, a freshwater specialist. Potamocorbula, a filter-feeder on plankton, has perturbed estuarine food webs. According to US Geological Survey biologist Janet Thompson, larval Potamocorbula moved upstream when a salinity barrier was removed during recent drought years and adults survived there longer than expected. Conversely, Corbicula became established downstream with increased freshwater pulses into San Francisco Bay and appears to be tolerating the return of more normal salinity. Potamocorbula clams have been in California since the 1980s, Corbicula decades longer. Invasives may experience booms and busts; the Chinese mitten crab, a concern in the past, seems to be fading away on its own. Targeted eradication efforts sometimes succeed, as with the northern pike, introduced to Lake Davis in the 1990s, and the marine alga Caulerpa that turned up in a Sothern California lagoon in 2000. Other species have proven as hard to kill as Rasputin. And there’s no guarantee that an invasive species, once extirpated, will stay gone. Two freshwater invasive mollusks, the zebra and quagga mussels from Eastern Europe, have proliferated massively in the Great Lakes. So far, zebras have been detected in California only in a reservoir in San Benito County, where the US Bureau of Reclamation is still developing an eradication plan. Quaggas are more widespread in Southern California, with the most recent finds in the upper San Gabriel River, the Santa Clara River, and lower Piru Creek. Adult mussels can survive out of water long enough to be transported significant distances on recreational watercraft. Managers of waterbodies uses watercraft inspections (in some cases with trained mussel-sniffing dogs) and educational outreach to prevent their further spread, and the Department of Boating and Waterways is trying to streamline the process by which water body operators can apply for mussel-management grants. The Western Regional Panel of the National Aquatic Nuisance Species Task Force coordinates prevention efforts among California and other western states. An ESTUARY reporter covering nutria for Pearls got this response to her story from a local resident. Other freshwater invasives are on the radar. 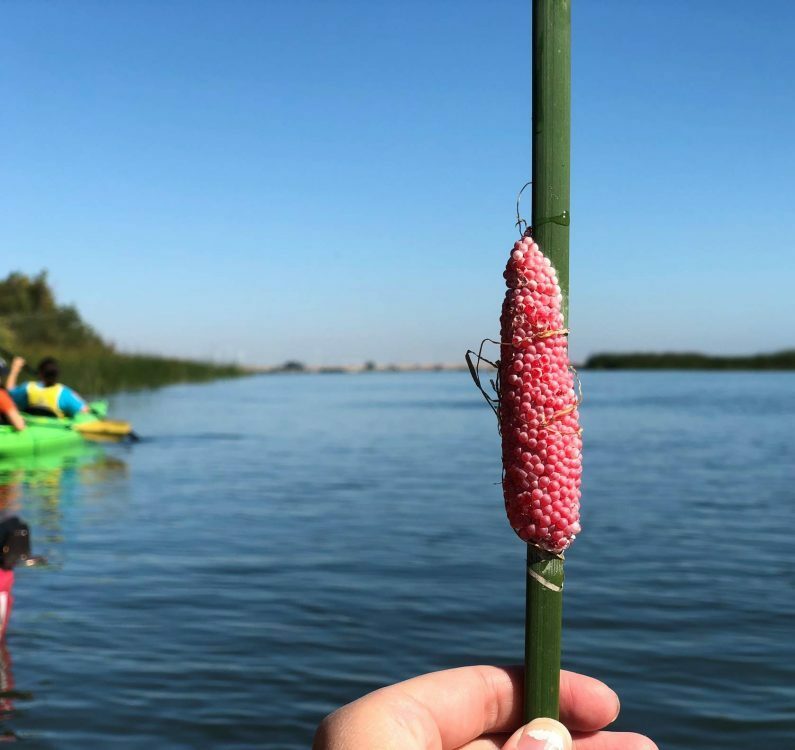 In 2016 egg masses of the channeled apple snail, a large plant-eating South American mollusk, were found at Big Break Regional Shoreline in the Delta. The closest known population was in Kern County, a giant step for a snail. East Bay Regional Parks naturalist Michael Moran says eggs are still being found (and destroyed) at Big Break, although no adult snail sightings have been confirmed. While they may be temperature-limited, there’s concern that they may reach the Sacramento Valley’s rice fields. “They could wreak havoc, especially in controlled wetlands with no tidal fluctuations,” Moran adds. The snail is also a rat lungworm vector. 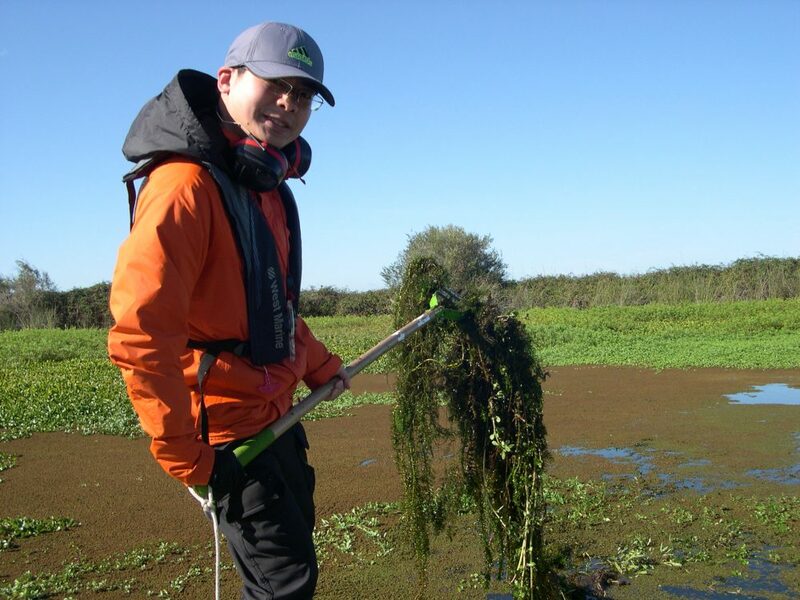 While CDFW deals with invasive animals, non-native aquatic plants in the Delta like water primrose and alligator weed fall within the purview of Boating and Waterways. 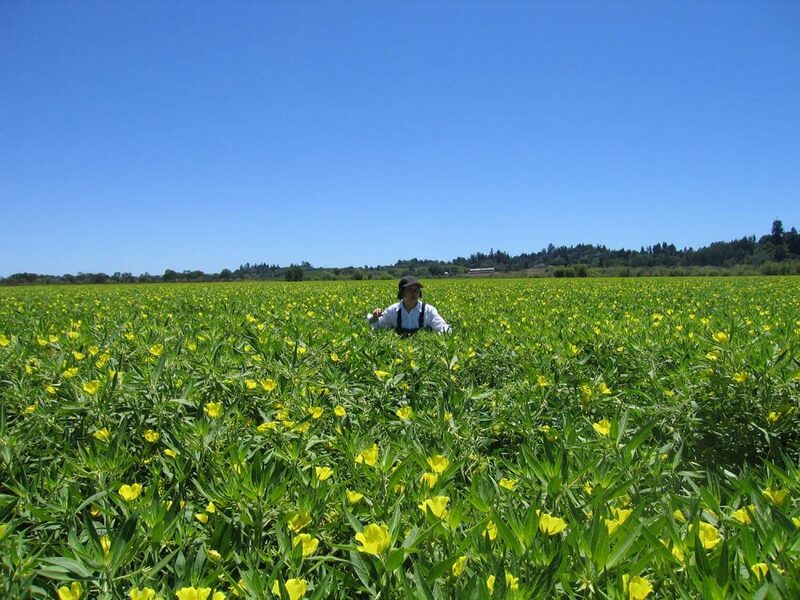 Recent research led by Shrutri Khanna at UC Davis suggests that the water primrose, proliferating in the Delta, may outcompete native plant species and change the structure of plant communities. The plant’s ability to spread over open water and encroach into marshes poses a challenge to tidal wetland restoration efforts. Alex Youngquist, from Antioch, became the first person at Big Break to witness the birth of one of our latest Delta invaders! Channeled Apple Snails, which grow to the size of a child’s fist, were first observed at Big Break two summers ago. Their egg masses, which contain 200-600(!) bright pink eggs, are laid at night above the Delta high tide waters on plants and wood and resemble large pink raspberries! Alex was observing these eggs under the microscope when he discovered that they were actually hatching! Amazing discovery from our young scientist! In some ways, the story of marine invasives is less complex. Although some problem plants and animals were intentional introductions, most arrive through biofouling and ballast water. Many biofouling organisms are sedentary creatures like barnacles and sea squirts that encrust the hulls of vessels, as well as docks and other permanent structures. By some estimates, the biofouling vector accounts for more than half of marine invasive species introductions. New state regulations for vessel operators took effect this January. John Berge of the Pacific Maritime Shipping Association says the final rule “provided a rational path to compliance for vessels that performed industry-standard hull husbandry, reflecting existing best practices in the fleet.” The San Francisco Estuary Partnership’s Karen McDowell suggests similar management requirements could apply to mobile marine infrastructure, like the in-water construction equipment used when the Bay Bridge was rebuilt. 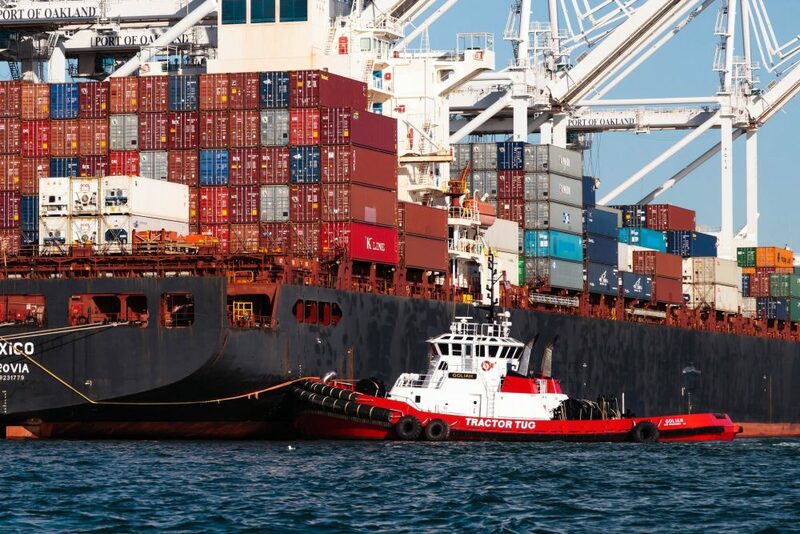 Container ships entering California ports are asked to voluntarily exchange ballast water at sea before entering the Bay. Photo courtesy Port of Oakland. Ballast-water introductions happen when a vessel takes on water in a coastal port and discharges it in a new port miles or oceans away, along with its cargo of organisms often in egg or larval stages. Exchanging ballast water at sea is considered inconsistently effective, a stopgap measure at best. Finding a way to rid the water it of these hitchhikers before releasing it has been an ongoing challenge, with debate over the best treatment technology, the best location (shipboard versus shore-based), and the appropriate standard for measuring the result. One set of results-based treatment standards has been adopted by the International Maritime Organization, under a convention which came into force without being ratified by the United States. The US Coast Guard and the US Environmental Protection Agency have aligned their numerical standards with the international standard, although the US agencies use different terminology. 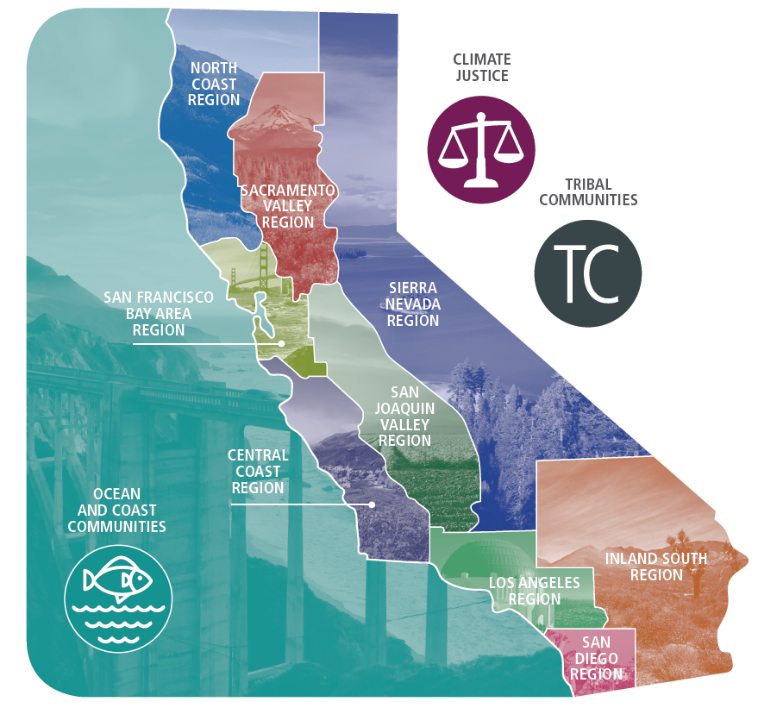 The California State Lands Commission (SLC), however, has developed a state standard which is much more rigorous than the international/federal standards. It’s in the process of being phased in, with interim standards beginning to be implemented in 2020 and final standards in 2030. No other US state has comparable standards. Dobroski says the state’s ability to evaluate treatment technology is being hindered by the Coast Guard’s reluctance to share information. The Coast Guard denied a Freedom of Information Act request, claiming the information about treatment system effectiveness was proprietary. The SLC is appealing the denial. At sea in a field of invasive primrose. Photo: Julian Meisler. Responding to interest in alternatives to shipboard treatment, the SLC funded and the Delta Stewardship Council managed a feasibility study of shore-based treatment. The resulting report, released in April, considered treatment in facilities on land, including retrofitted wastewater treatment plants, a nonstarter, in part because of higher cost and local obstacles to creating a uniform statewide system. What was found feasible, likely capable of meeting the interim standards, and 5 to 11 times less costly than a land-based alternative, was treatment on shoreside barges, with ballast water pumped from vessels to the barge. The study estimated the cost of building and operating a statewide barge system as $1.45 billion, with an additional $2.17 billion in retrofit costs for marine vessel operators. A 9-year implementation schedule was suggested. Dobroski says the feasibility study is being incorporated into a ballast water treatment technology report covering both shipboard and shore-based systems, to be delivered to the California Legislature later this year. According to Berge, the shipping industry is concerned whether barge treatment can actually meet the state standards, and whether its phased deployment can be reconciled with the time line for their implementation. 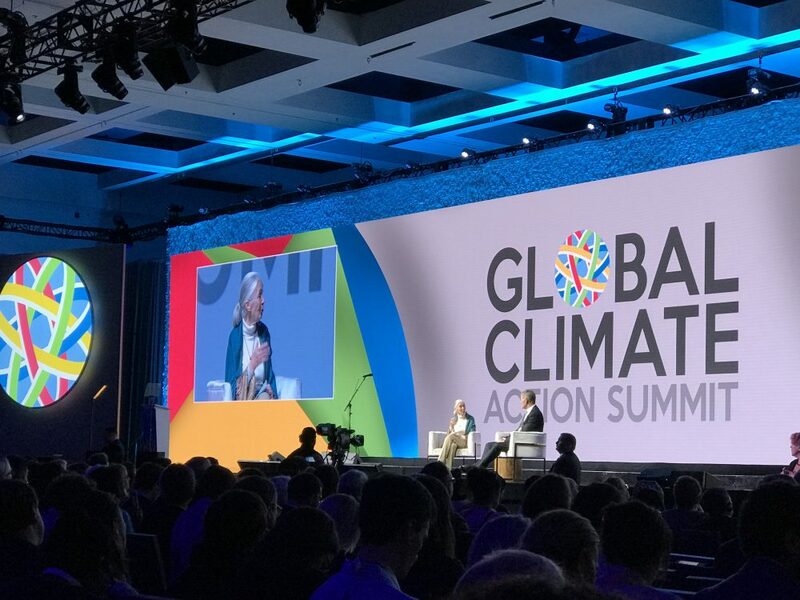 “The federal government and the international regime say the solution should be ship-based because every port in the world would benefit,” he adds. “It’s like the herd effect with vaccination.” McDowell notes the high price tag for the barge system, and the unresolved question of who would foot the bill.